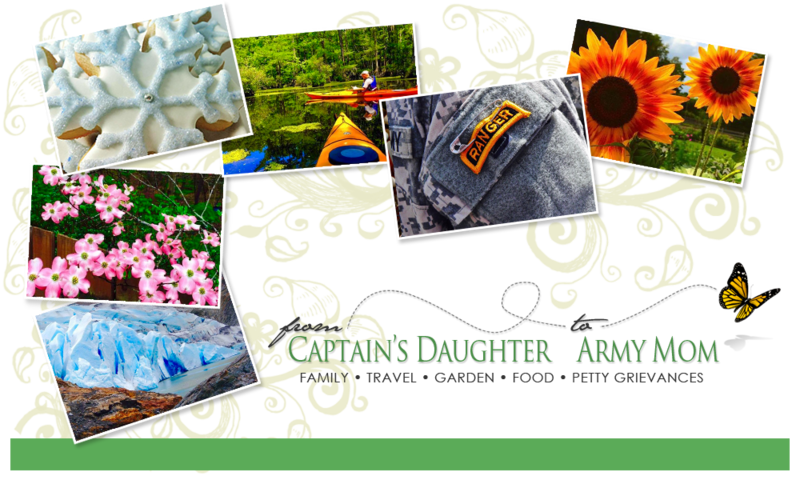 From Captain's Daughter to Army Mom: Martha was Listening! 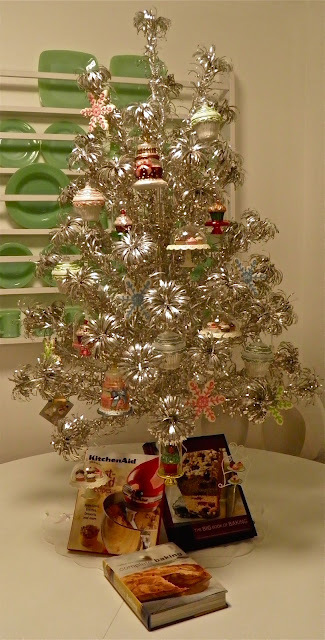 soon as I saw this 1950's tinsel tree, I knew I had to have it! standing in this fabulous scalloped tin tray! college for five minutes, (a year) before moving to California! Macy*s... Since the kitchen is about the only place I have to display it! week, and saw that Martha did this... Obviously just for me! 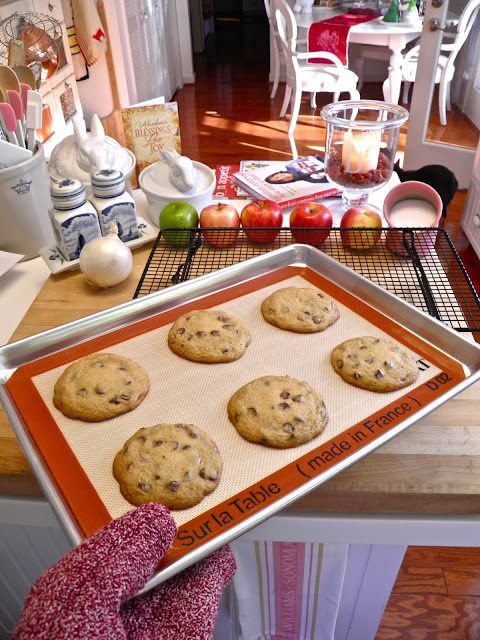 That scalloped tray I've been hunting for is a definite must-have! My tray-hunting days are happily over! 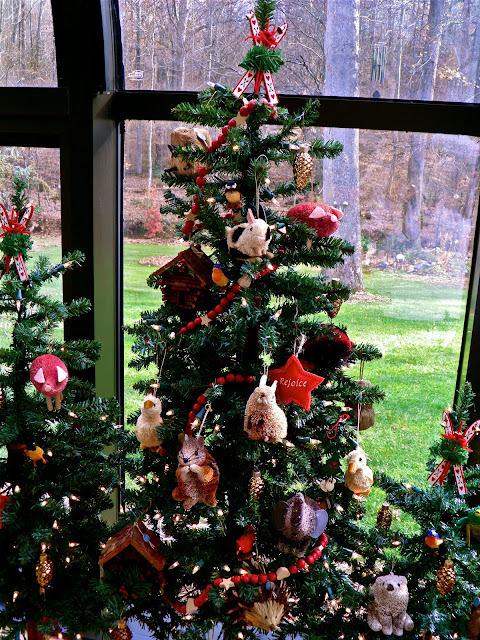 I decorated the tree trio in the solarium this afternoon! Makes for a pretty enjoyable pre-Thanksgiving afternoon! Oh that is so beautiful the way you have it all decorated. 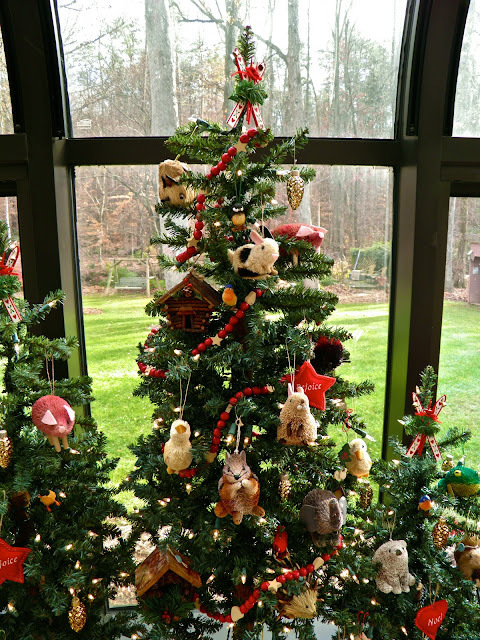 We must see more photos after you have completed decorating for Christmas. The tray is perfect for it. Did they let you order the tray separately? 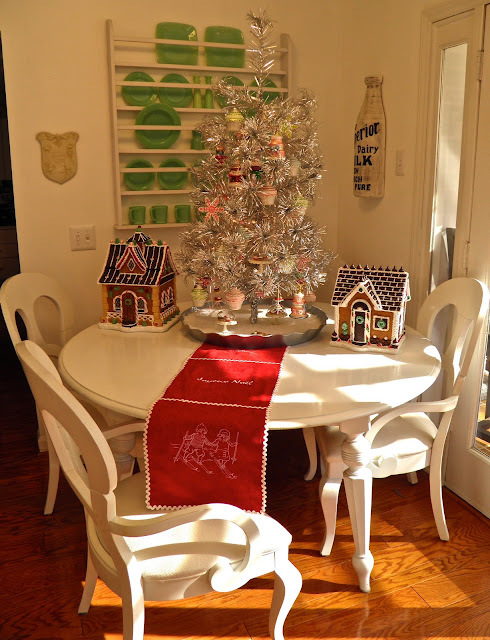 Your white table and chairs set is soooooo pretty, Janet and the tree looks marvelous on it! Hello, Maria! Thank you for your kind words. Happy Thanksgiving to you and your family too! No... Unfortunately the tray could not be purchased as a single item. 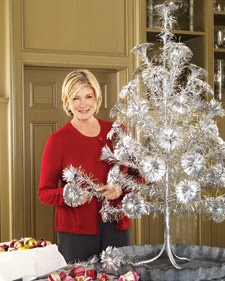 If it were offered as a single item I would have kept my e-Bay tinsel tree and added Martha's tray to it - just as she did. 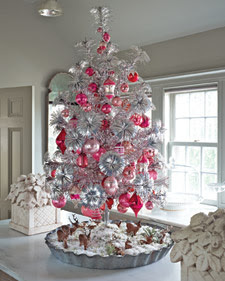 Nevertheless, this tree Martha reproduced exclusively for Grandin Road is a one-piece design. 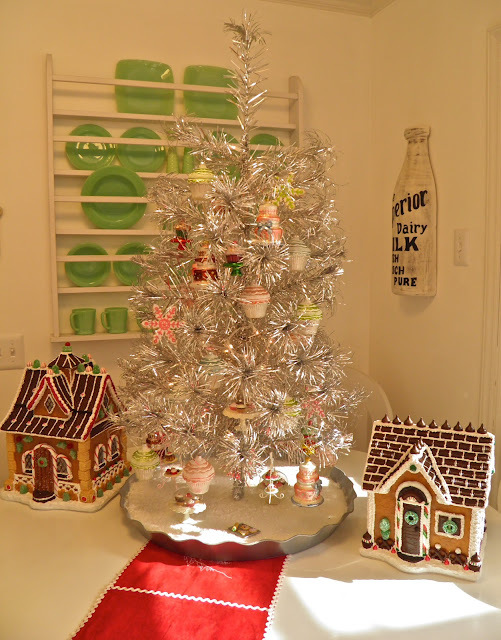 You pop the tree, (all one-piece) onto a stub that is permanently afixed to the base of the tray. The tree is Very easy to set up. The only negative about the design is that the tinsel wrapped around the branches has unraveled on some, leaving the wire branches bare - I am waiting for a replacement from Grandin Road now. Since I want to enjoy this decoration forever, I am hoping that the next one they send me is perfect! Happy Thanksgiving to your and your family. 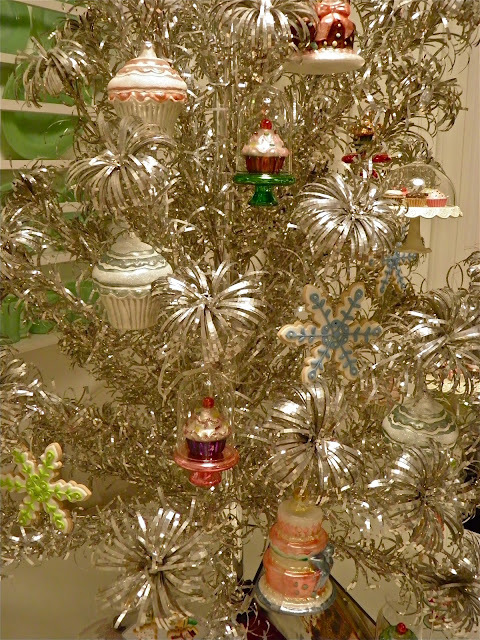 Every year here in Brevard we have an aluminum Christmas Tree Museum. 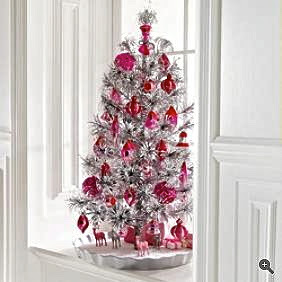 What fun to see the "Elvis" tree, or the "Marilyn Monroe" one. Yours is lovely.